Among European countries we can distinguish three groups of countries with different percentages of public forests. The highest percentage of private forests is found in the Scandinavian countries (Norway, Sweden and Finland), and also in France and Austria. In these countries the percentage of public forests does not exceed 30%. 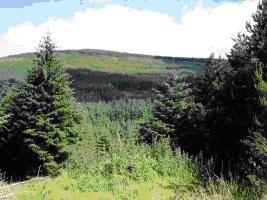 Nevertheless, there are not any strict restrictions on public access to private forests, apart from some exceptions. 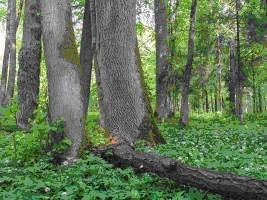 On the other hand, in Ukraine and Belarus the State owns all forests. Access to forests is usually restricted in countries with less forest cover and with food traditions related to collecting forest fruits. Such restrictions are applied in countries like Italy, where people who pick mushrooms, chestnuts and “gifts of the forest” believed that forest was their own yard or agricultural crop. Forest ownership plays an important role in forming forest policy which promotes the conservation of the environment. The State as a dominant owner can follow non profitable policies in relation to forestry in order to keep the society happy. It is much harder to fund private owners, in order to convince them to give up their personal profit and follow policies aiming at nature conservation and recreational activities in the forests. It is much easier to protect large areas belonging to one forest owner from the harmful effects of strong winds, by creating appropriate spatial structures between neighboring tree stands. Moreover, creating a network of observation points can also protect these areas from fire. Another important aspect is the possibility of planning and implementing actions for changing the composition and structure of tree strands in greater forest areas. Reconstructing tree strands is an action beyond the prospect of financial profit within one or two decades. The durability and importance of these reconstructed tree strands is not counted in terms of money.